March may have been a slow month for you, thanks to Mercury retrograde, but in April you’ll most likely feel ready for more action. Mercury is moving forward once again, and with the Sun in “come on, let’s go!” Aries at the start of April, you may feel tempted to swing back into action immediately. But wait! From April 1 through 5, the Moon will be at the close of her monthly cycle as she moves through the balsamic Moon phase. That’s the quietest, most dreamy and mysterious of all the Moon’s many phases – and the best for meditation and introspection. 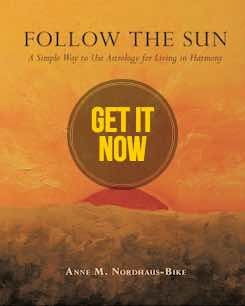 If you hold off until the new Moon of April 5, you’ll find that things fall into place much more easily, helping you make all the fresh starts you wish. As the Sun makes its annual trek through Aries, it’s time to take charge of your career. As of April 5, you’ll have a wonderful two week period to make progress on anything related to your professional life, from launching new projects to looking for a new job (or field) to applying for an important industry award. This period also supports any activities related to your standing in the community. For example, if you move or marry, that affects your public status. You also can use this opportunity to raise your visibility in the community by leading a local initiative or running for office. So roll up your sleeves, shake off last month’s sleepiness, and make your mark with passion! On April 20, the Sun leaves Aries for steady, loving Taurus. That means it’s time to shift your focus to relationships, especially friends. Reconnect with pals or join a club or work on a committee to meet new people who can become new friends. This period also favors networking. So accept invitations, bring plenty of business cards, and introduce yourself to everyone who seems interesting. Make sparkling conversation and be sure to follow up because you likely will find several acquaintances have potential to become clients or referral sources. This part of your chart also governs how you help the world through volunteering and other charitable work. Sign up to help on a fundraiser, go to a charity event, or consider joining a nonprofit board. The full Moon on April 19 will be the second in a row in loving, fairminded Libra. Use clues from that period to guide you this time. You may learn important news related to that place most dear to a Cancer: home. This full Moon also could bring insights related to parents, other family members, or genealogy or concerning real estate or a home improvement project. If you’re working with a contractor or want to sell your house, you may have a “eureka!” moment that changes your perspective. Pay attention to any information revealed during this time. 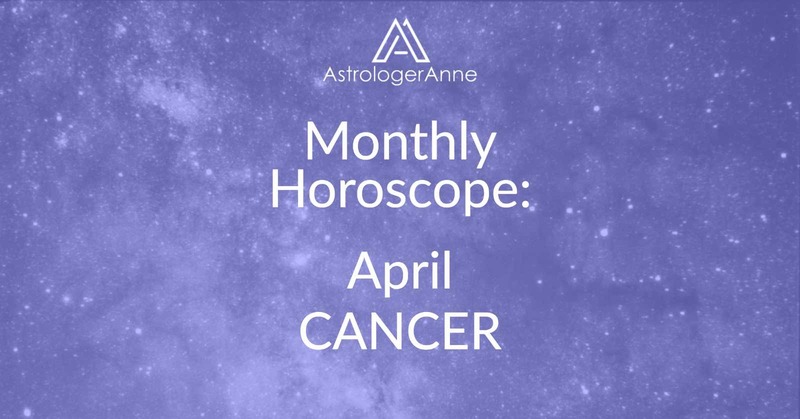 Have a happy April, Cancer! I wish you a wonderful month!